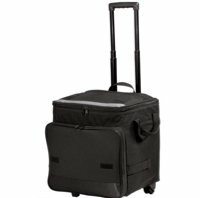 With a 48-can capacity, you'll be the hit of the tailgating party when you roll up with this durable cooler. Collapsible design makes for easy storage. Choose your school colors with choices including black, red or royal blue. Monogram is located on the outside zippered pocket and is approx 3 inches in diameter; or you can add a name of up to 10 characters instead of a monogram. We have so many fonts and thread colors to choose from! You will be able to design the perfect cooler. Perfect gift idea for the team mom, new graduate or groomsmen. One-hand push button extension handle; extends to 21"
Email me for more information. 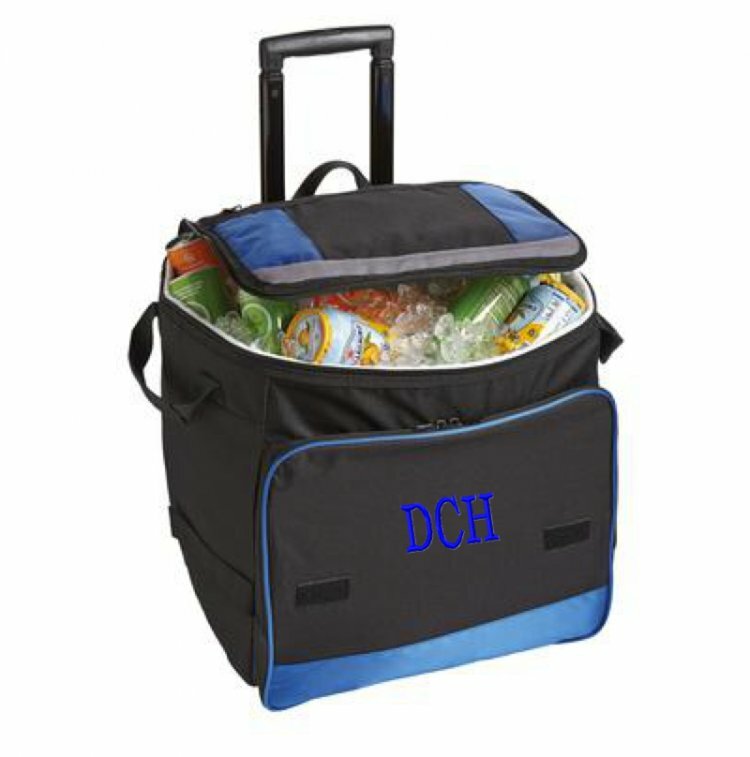 Bulk pricing is available for corporate or team gifts or if you have your own logo or team sport logo that you would like to add to your cooler. Price: $70.00 In stock! - Browse this brand: The Pink MonogramOur products are custom made to your specifications. 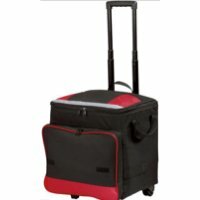 This product ships up to 2 weeks after your order is placed.